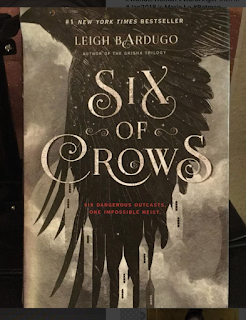 Hey fellow book lovers, and welcome back to a new blog about a very well known book called Six of Crows, which was written by Leigh Bardugo. I purchase this book from Amazon on January 16th 2017, and just decided to read it in July. The reason I pick it up in July to read was that in August, Leigh Bardugo book, Wonderwoman Warbringer will be out. So I wanted to read some of Leigh's work before it came out. Now onto my Summary and final thoughts of the book. This book is about six teenagers name Kaz, Inez, Nina, Mathias, Wylan, and Jesper. All basically live in a NewYork gangster type of town. I would say the Era is somewhere between 1880's to mid-1930's. Kaz is second of a very well known Gang. How he becomes second is by finding the right people to hire. People like Inej, who he saves from Prostitution slash Slavery, Or Jesper who is a gambling addict, or Wylan who is the gay son of a famous city official. Then there is Nina and Mathias who are tied together because their two cultures hate each other. Their people have fought against each other for a long time, but somehow Nina and Mathias fall for each other. They are hired by a local City government official to go after a scientist who is making a deadly drug and along the way, they end up meeting some unfortunate mishaps, that lead them, to eventually possibly losing everything. But in order to know what happens, you need to read the book. I do HIGHLY suggest you read the Grisha Trilogy first though so this book makes more sense. Now on to my final thoughts. Honestly, as I slowly read this book, I didn't know how I felt about it. At first, I was like well clearly I hate this book, and it's not my type of story at all. Then I was like but wait I am loving the writing and the character definition. It's just the plot, I am not happy about. But Now I have to tell you, it been a week since I finish this book and I can't get it out of my mind. The story and the characters have stuck with me so very much. I will say this though if you're not one for gory details this book is not the book for you because, at one point, Leigh bardugo describes a man having his eyeball ripped out. This book was everything that a great story should be though, it was action pack from beginning to end. It was filled with intense characters and back stories. At times I felt like I was in Victorian England, other times I felt like I was in New York back when the Irish gangs ran the streets. I felt like I was taken to so many different countries, along with reading so many different languages. I will say Leigh bardugo does, diversity very well for Young Adult. Also while most of these characters did range in ages of 16 to 19, they didn't read that way to me. I actually didn't realize they were teens until it was mention in Print. So I officially have rated this book a 4 out of 5 stars. This book is a duology but I will have to read the Grisha Series first, to give me a better perspective on this Series. I hope you enjoyed this review, please come back again. 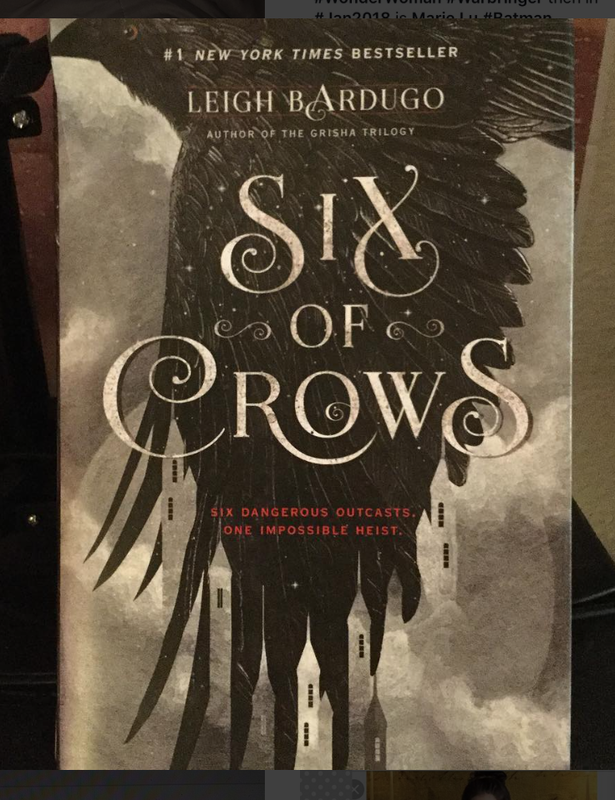 As always I have all of the Links for Leigh Bardugo below along with my Social media.